Here’s another recipe inspired by Heidi Swanson to kick off the last week of Cleanse Month. 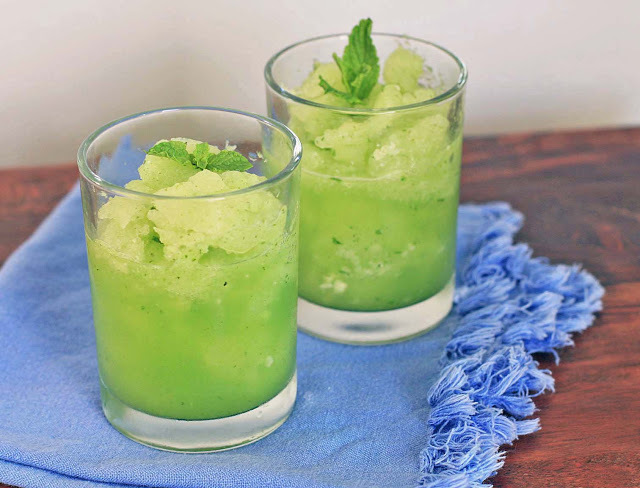 The cucumber cooler recipe in her new cookbook, Super Natural Every Day, inspired me to adapt my Cucumber Agua Fresca drink into frozen slushie form. You get the same heat relief of a 7-11 Slurpee without the high calorie count or the subsequent sugar crash. 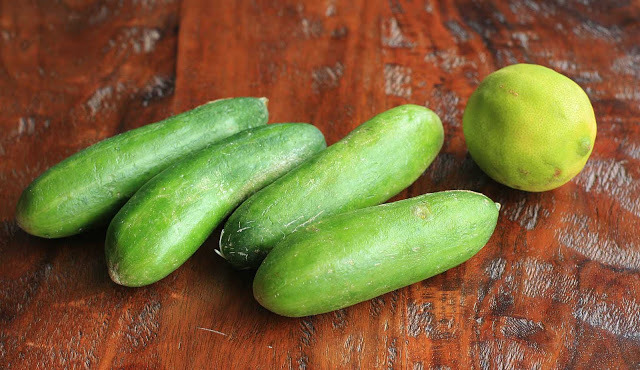 Really, you’re even doing yourself a favor health-wise, since you’ll be drinking in all the cucumber’s nutritional benefits. Combine the cucumber, ice, lime juice, mint leaves, salt, and half of the sparkling water in a blender and pulse until smooth. Spoon into two glasses and top with a little sparkling water. Garnish with mint leaves, if desired.